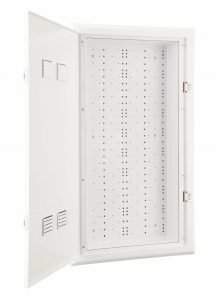 The Verge Primex Media Distribution Enclosures (MDE’s) were the first plastic structured wiring enclosures to the market. 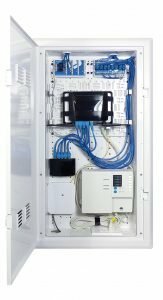 The engineered plastic has been proven to provide over 15x the wireless pass through strength of its metal counterparts making it the leading Wi-Fi Transparent enclosure for structured wiring on the market. The patented mounting and fiber management systems allow you to easily store your smart home components and manage cable in one convenient centralized location. 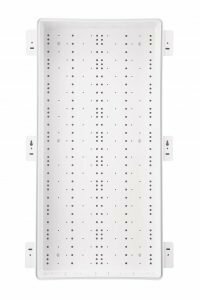 The Verge MDE’s have additional options to fit your installation needs such as a narrow hinged lid for tight spaces, an extension mounting bracket for 24” studs and a 1” frame extender for those larger products. The homeowner gets a convenient and centralized location for their whole-home media distribution that fits discretely within their decor. 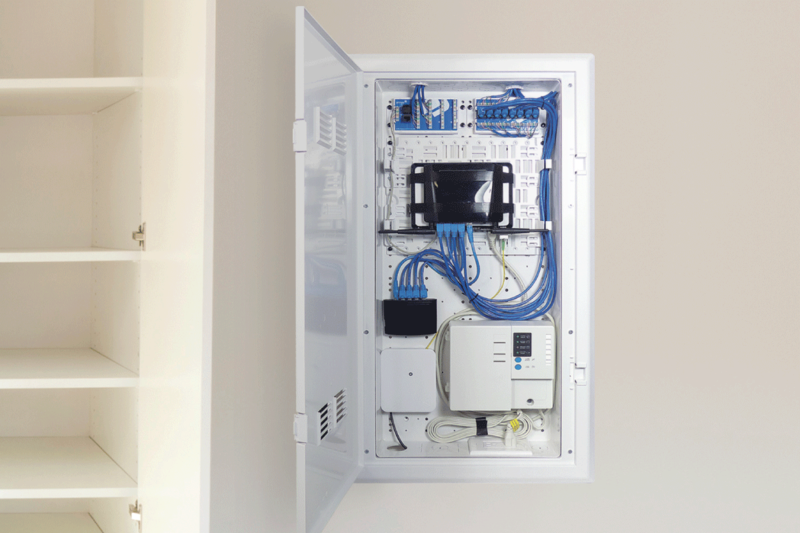 Mounted in-wall, the Wi-Fi transparent, low-profile and aesthetically-pleasing enclosure keeps structured wiring organized and out of the way for the homeowner. The engineered plastic provides 15x more Wi-Fi transparency than metal alternatives, providing the homeowner with better wireless signal.